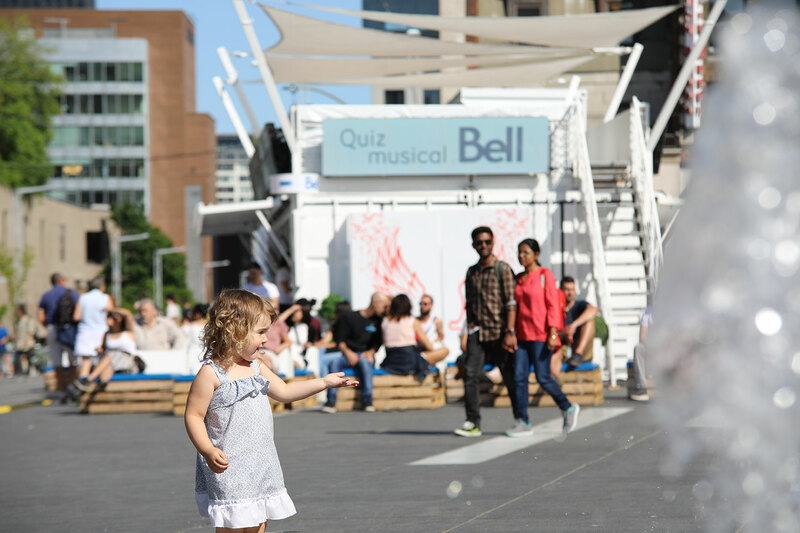 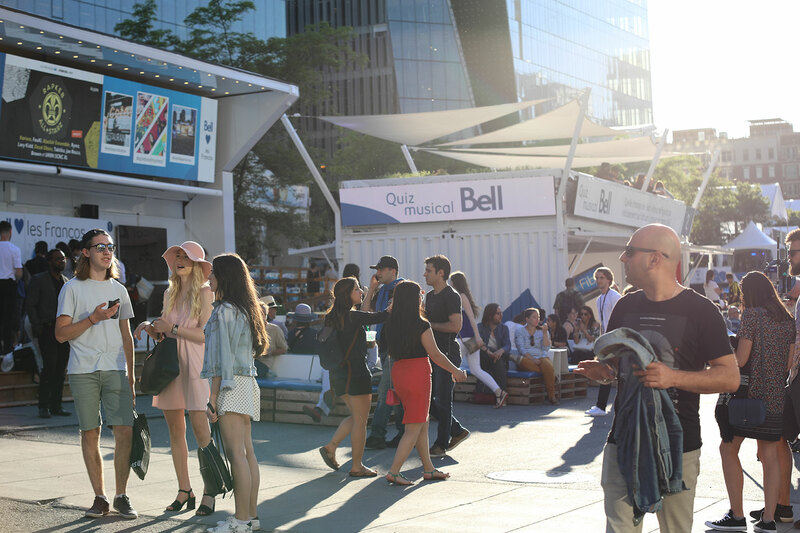 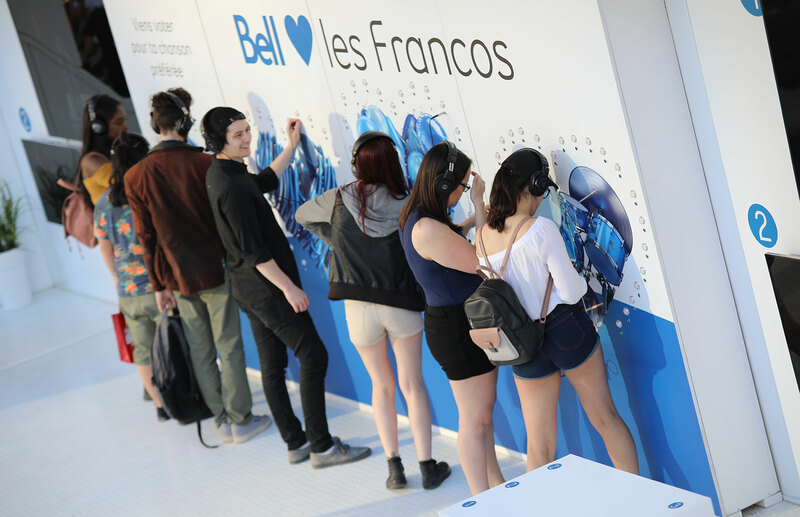 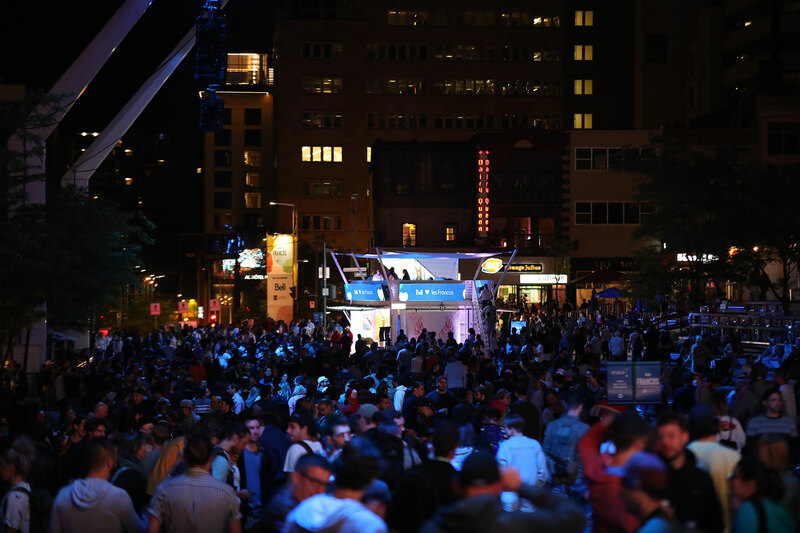 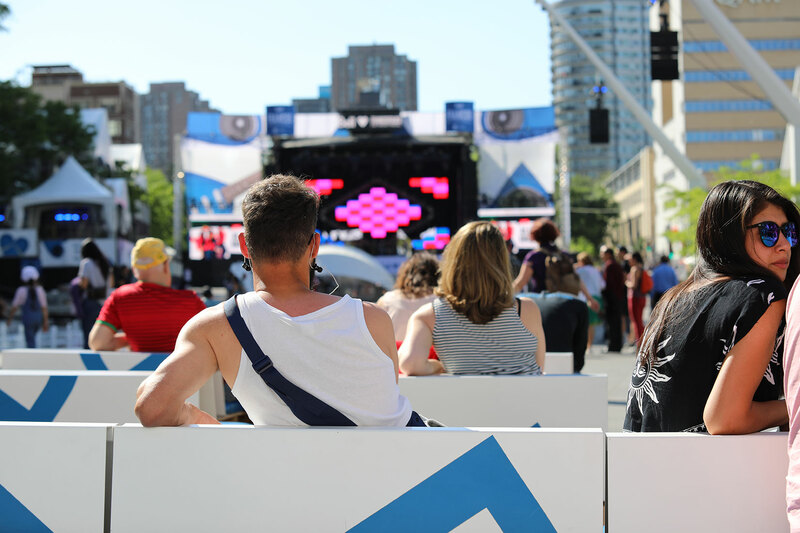 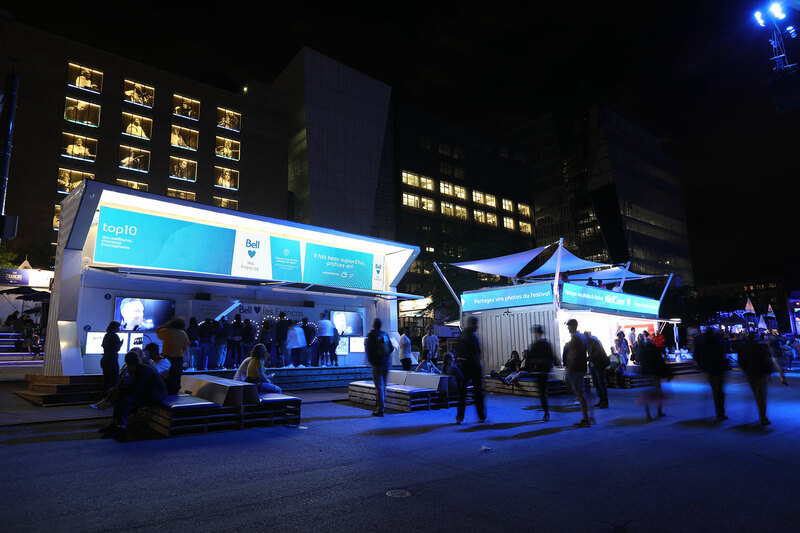 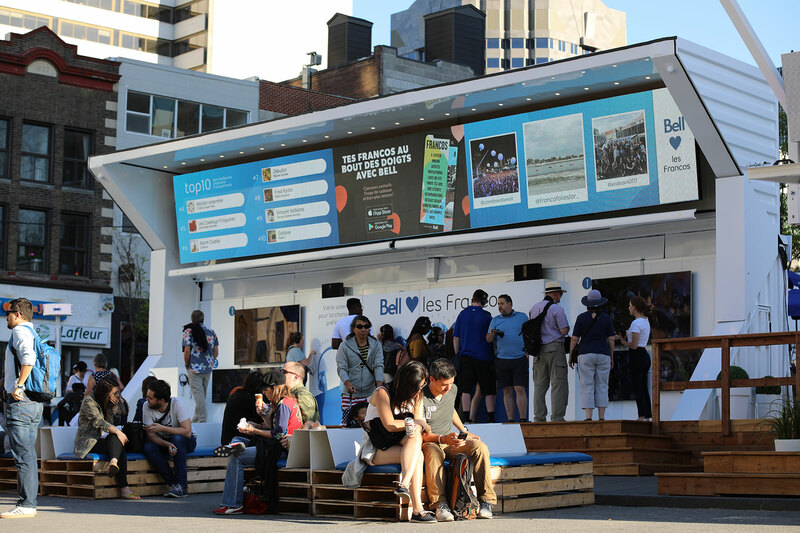 Once again, Bell was right in the heart of the Quartier des spectacles entertainment district for the30th edition of the Francofolies de Montréal summer music festival from June 8 through 17. 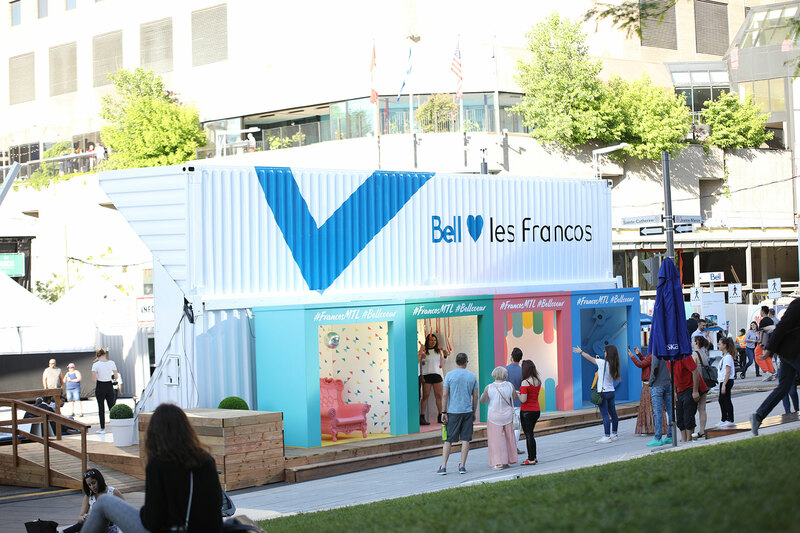 With public greeting space both inside and out the BNC 240 and Split 40 units, the marketing installation was perfectly suited to welcoming people to the Bell brand. 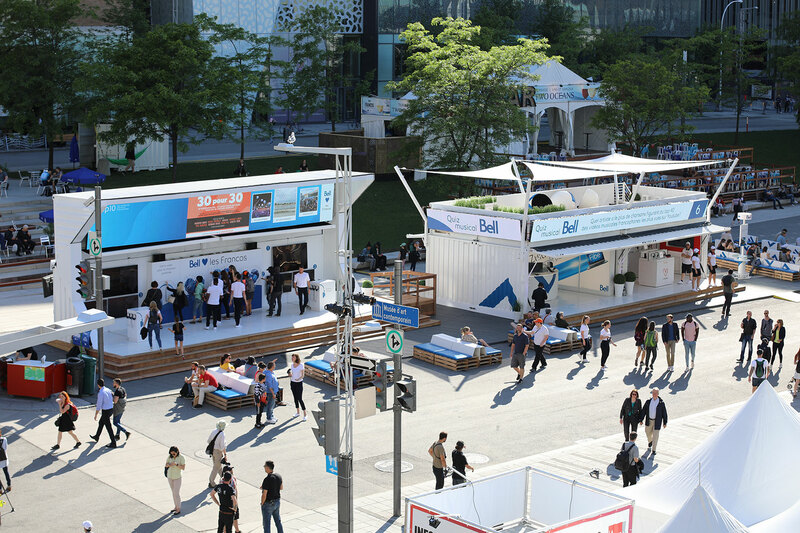 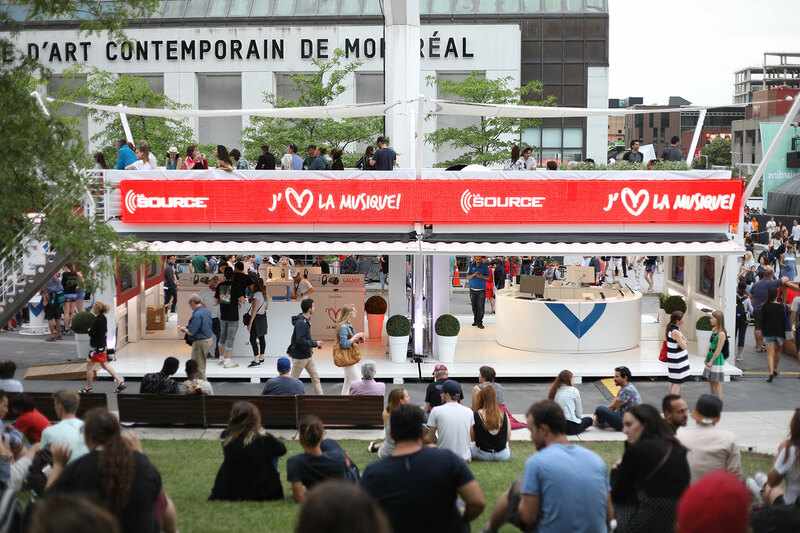 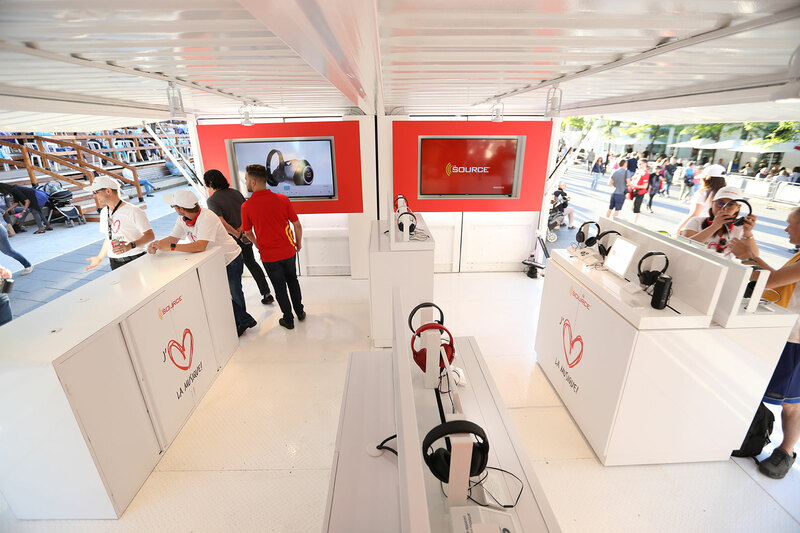 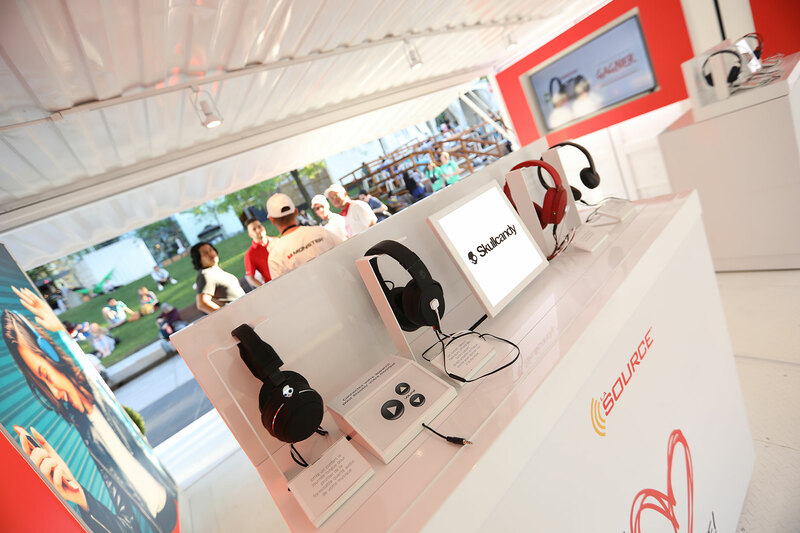 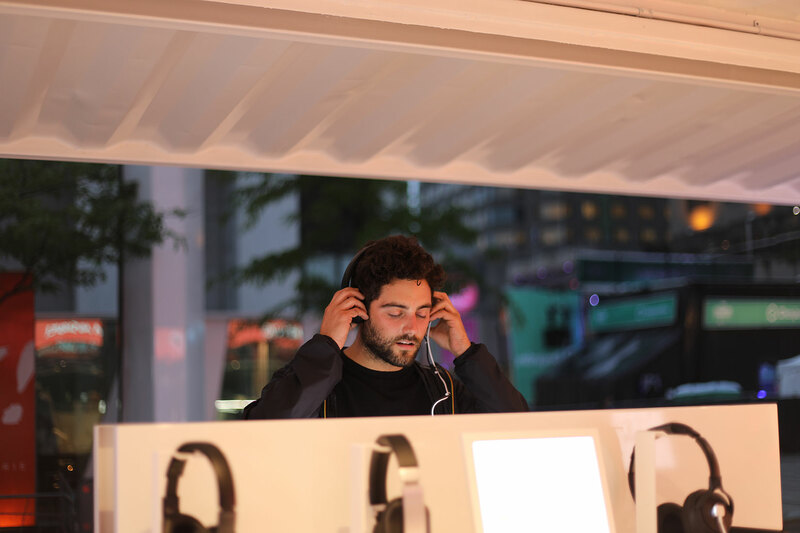 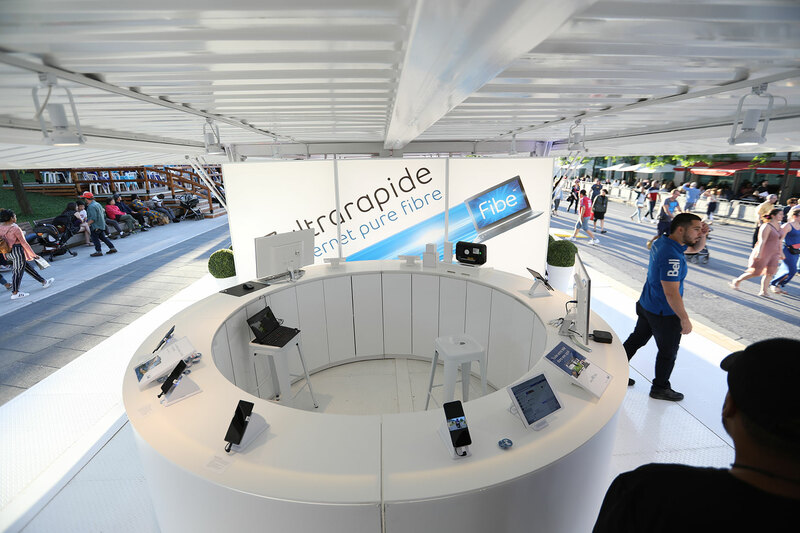 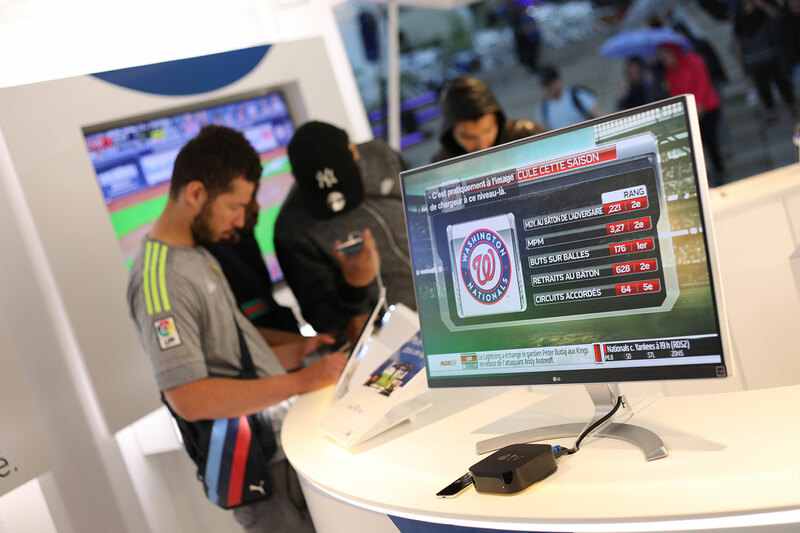 In the Split 40, the public was free to explore the space and take part in experiential activities and tech demos for Bell and La Source products. 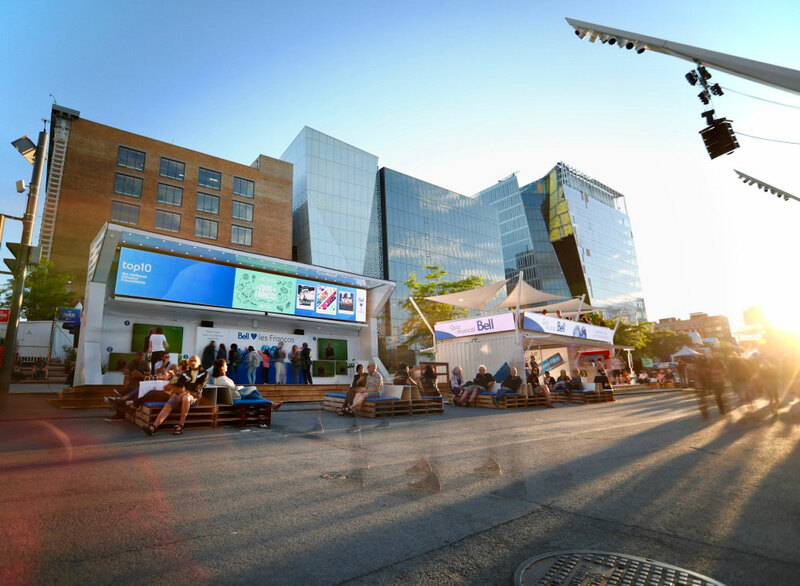 Measuring an imposing 16 feet tall by 40 feet wide, with a 40-foot screen installed on the roof, the unit was visible from a great distance. 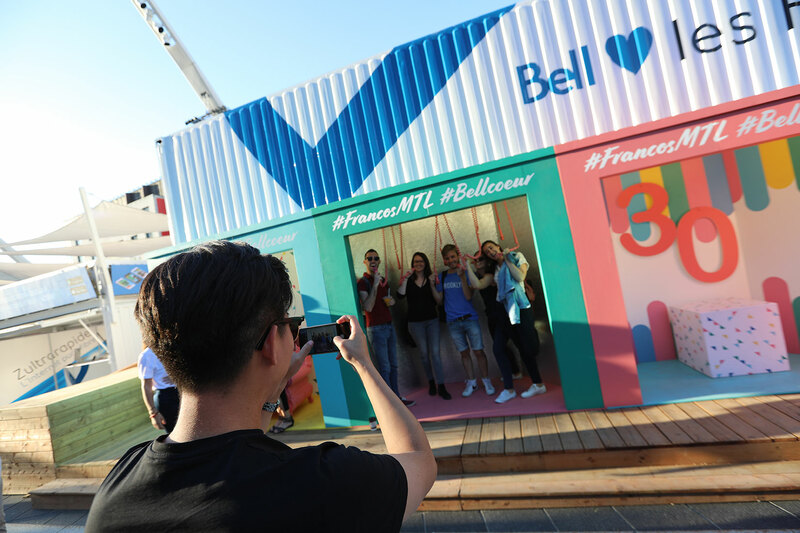 Visitors were also invited to vote for their favourite song and take part in other games, including 4 fun photo booths located at the back of the module for sharing photos on Instagram, helping promote the event far and wide. 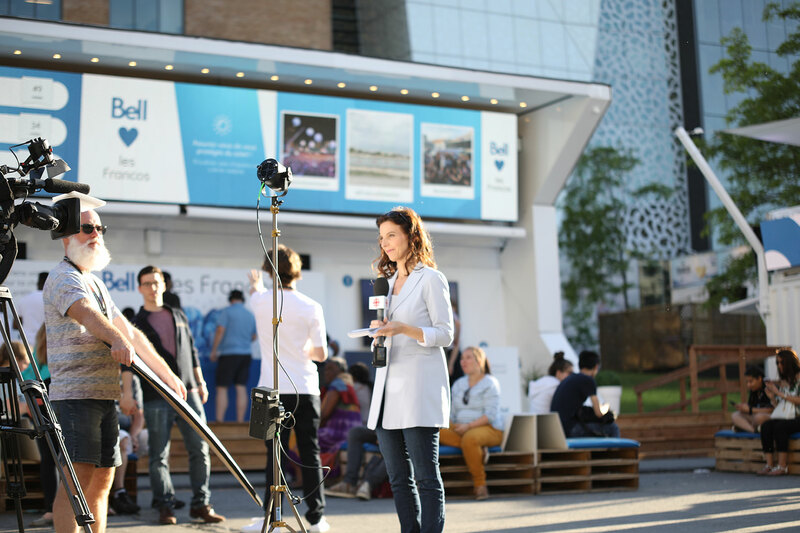 The BNC 240 unit features a white finish on all interior walls and white checker plate on all floors plus large-screen televisions for that cool, contemporary look. 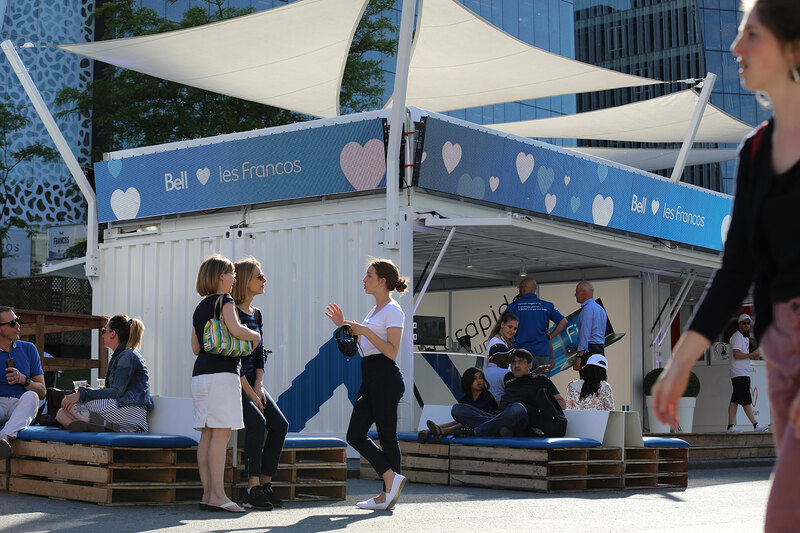 All the modular furnishings were custom built for Bell creating a perfect demo for the many festival visitors. 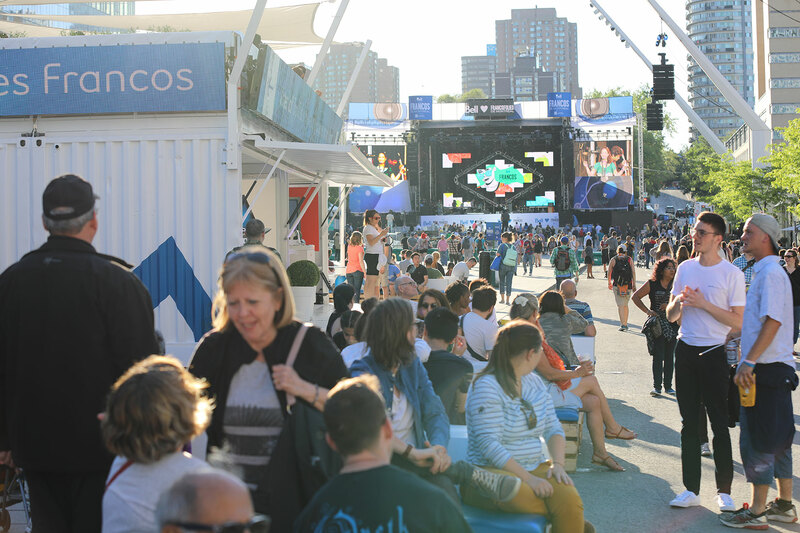 People could also visit the BNC 240 unit’s spacious rooftop terrace for an unforgettable view of the main stage.